Please read these Terms and Conditions of Use carefully before using the site. By accessing, browsing and/or using this site, you intend to and agree to be legally bound by these Terms and Conditions of Use. If you do not agree with these Terms and Conditions of Use, please do no access, browse or use this site. This web site is owned by Baptist Health Care (herein referred to as "Baptist," "BHC," "we," us," or "our"). BHC reserves the right to change the terms and conditions at any time without notice and we reserve the right to revoke any or all access and use authorizations granted to site visitors. The permission granted to you with respect to your use of this site shall terminate automatically upon breach of any of these terms and conditions. Upon termination, you must immediately destroy any downloaded and printed materials. BHC provides this web site for your general personal, educational and informational purposes and it is for these purposes only that the site may be used. Information on this site is provided with the understanding that we are not rendering specific advice or recommendations. BHC makes no representations that the information provided on this site may in any way be interpreted to diagnose or treat a particular medical condition or ailment, and we assume no responsibility for consequences resulting from the use of the information on this site. You should not rely on any information contained on this site in lieu of consultations with qualified professionals to meet your individual needs. We reserve the right to modify or remove any of the materials or services offered through this site at any time without notice. Permission is granted to download, print and copy the materials on this site for personal, non-commercial use only, provided you do not modify the materials and that you retain all copyright and other proprietary notices contained in the materials. While we encourage you to access and print information which will help you, other than as expressly provided herein, no materials from our site may be downloaded, reproduced, distributed, transmitted, performed, displayed or used in any way, including for any commercial use. In addition, you may not alter or attempt to alter any information or materials on this site, or the site itself and you may not interrupt any operation of the site. You agree that BHC is the owner of all rights in this site and the materials that appear on the site, and that you will not challenge those rights or do anything that might impair or damage those rights. Any unauthorized use of any material contained on this site may violate copyright laws, patent laws, trademark laws, the laws of privacy and publicity, and communication regulations and statutes. The trademarks, service marks and logos (the "Trademarks") used and displayed on this site, including but not limited to the "Baptist Health Care" mark, are registered and unregistered trademarks of Baptist Health Care and others. Under no circumstances may you use any of the Trademarks, whether owned by or licensed to us. Nothing on this site should be construed as granting, by implication, estoppel, or otherwise any license or right to use any Trademark displayed on this site, without the written permission of the Trademark owner. If you print anything from our site, you are required to include all trademark, copyright and other proprietary notices. No links may be established to any part of this site and no information on this site may be framed without our prior written approval. Any questions concerning the use of the Trademarks or to request approval for linking and/or framing should be referred to webmaster@bhcpns.org. THIS SITE, AND THE MATERIALS AND INFORMATION CONTAINED ON THIS SITE, ARE PROVIDED "AS IS" AND WITHOUT WARRANTIES OF ANY KIND, EITHER EXPRESS, IMPLIED OR STATUTORY. TO THE FULLEST EXTENT PERMISSIBLE PURSUANT TO APPLICABLE LAWS, BAPTIST HEALTH CARE DISCLAIMS ALL WARRANTIES, EXPRESS OR IMPLIED INCLUDING, BUT NOT LIMITED TO, IMPLIED WARRANTIES OF MERCHANTABILITY AND FITNESS FOR A PARTICULAR PURPOSE, NON-INFRINGEMENT OR OTHER VIOLATIONS OF RIGHTS. BAPTIST HEALTH CARE DOES NOT WARRANT THAT THIS SITE WILL BE UNINTERRUPTED OR ERROR-FREE, THAT ANY DEFECTS WILL BE CORRECTED, OR THAT THIS SITE OR THE SERVER THAT MAKES IT AVAILABLE ARE FREE OF VIRUSES OR OTHER HARMFUL COMPONENTS. BAPTIST HEALTH CARE DOES NOT WARRANT OR MAKE ANY REPRESENTATIONS REGARDING THE USE OR THE RESULTS OF THE USE OF THE MATERIALS AND INFORMATION ON THIS SITE IN TERMS OF THEIR CORRECTNESS, ACCURACY, RELIABILITY, OR OTHERWISE. APPLICABLE LAW MAY NOT ALLOW THE EXCLUSION OF IMPLIED WARRANTIES, SO THE ABOVE EXCLUSION MAY NOT APPLY TO YOU. Under no circumstances of any kind shall Baptist Health Care be liable for any direct, indirect, special, incidental or consequential damages, including, but not limited to, loss of data or profit, that arise from or relate to the use of, or the inability to use, the materials on this site, even if we have been advised of the possibility of such damages. If your use of materials from this site results in need for service, repair or correction of equipment or data, you assume any costs thereof. Due to the vagaries that can occur in the electronic distribution of information and due to the limitations inherent in providing information obtained from multiple sources, there may be delays, omissions, or inaccuracies in the content provided on this site or content included on other sites linked to this site. As a result, Baptist Health Care does not represent that the information contained herein is correct in every case and Baptist Health Care disclaims any and all liability regarding such information. Applicable law may not allow the limitation or exclusion of liability for incidental or consequential damages, so this limitation may not apply to you. Any material, information or idea you transmit to or post on this site by any means will be treated as non-confidential and non-proprietary, and may be accessed, viewed, modified, published, distributed, disseminated, displayed or otherwise used by Baptist Health Care for any lawful purpose whatsoever. You agree that you will not upload or transmit any communications or content of any type that infringe or violate any rights of any party. By submitting communications or content to any part of this site, you agree that such submission is non-confidential for all purposes. 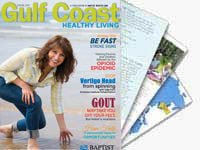 If you make any such submission, you automatically grant--or warrant that the owner of such content has expressly granted—Baptist Health Care a royalty-free, perpetual, irrevocable, world-wide nonexclusive license to use, reproduce, create derivative works from, modify, publish, edit, translate, distribute, perform, and display the communication or content in any media or medium, or any form, format, or forum now known or hereafter developed. Baptist Health Care may sublicense its rights through multiple tiers of sublicenses.